65 million years in the making was Stephen Spielberg’s goliath blockbuster which seen a mad billionaire regenerate cloned dinosaurs for his amusement and completely over the top wildlife attraction, Jurassic Park. What happens next is truly horrifying, guests go to see the dinosaurs, dinosaurs eat the guests, etc. This review is about Microgaming’s tampering with the DNA of the franchise, a 243 pay line, five reel multi bonus casino game that’s now widely considered one of the gaming industries best online slots. 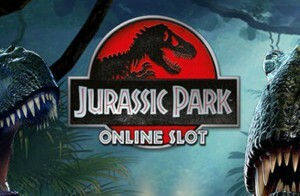 The Jurassic Park online slot will not need its reputation to spin itself an adequate following. Whether it’s fans of the movie, those who love dinosaur slots or just someone looking for a real money thrill ride on the cheap, there is something here for everyone. Using some of the best graphics engines in the game development business, Microgaming have laid solid groundwork from the base game up to create something rather spectacular. The familiar music, actual Jurassic Park film footage, highly interactive bonus features and a progressive jackpot capacity make it a park worth visiting. The games powerful platform has five reels, 243 ways to win, six bonus components and a 1500 coin jackpot. Betting ranges costs from just 30p to £15 per spin. This Microgaming top product (time of writing) will have players gripped from the outset. Start spinning, and the first thing players notice is Jurassic Park Slot’s stunning interface which has 3-dimensional depth. On top sits a frame that is reminiscent of the parks control room with its huge re-enforced titanium gates crashing down in between bonuses. Whilst they’re keeping dinosaurs out, we just hope they’re letting the winnings escape. The dashboard is pretty slick too. The animation sequences are also unbeatable for this grade of technology, and the scope of symbol transformation (especially wilds) is one of the best turnouts we’ve seen for some time. Playability is powerful due to its highly interactive and engaging design. You won’t want to put it down! The slot demonstrates cutting edge player interaction. It’s because anything can happen, and you know something’s coming to get you. 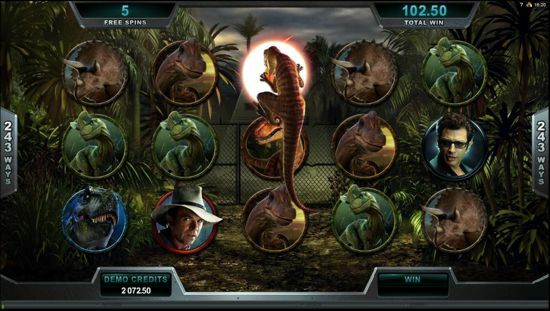 Jurassic Park plays more like a mission to make money than it does a slot. The multiple winning ways of this Microgaming proven model puts 30 coins on the table for bets. Coin range is variable with 0.30 to 15.00 making up the betting range. This wide spectrum makes the game fairly economical for players whilst providing a £15 per spin option for any high-rolling visitors. For the top prize, there’s a 1500 coin return for the Jurassic Park Slot jackpot which equates to £22,500 on a pretty good day with the dinosaurs. That’s at £15.00 a spin, but it’s still pretty meaty lower down the payout food chain. The theoretical payout rate for the Microgaming JP slot is a modest 96.67% which is worth sinking your teeth into any day. T-Rex alert mode – random feature that runs for six spins of the game and includes a wandering Tyrannosaurus, which looks angry and starving. In total, a maximum of 35 wilds can add themselves to the reels during the bonus making it one of the most valuable WILD features on the market. Expect great winning opportunities here! 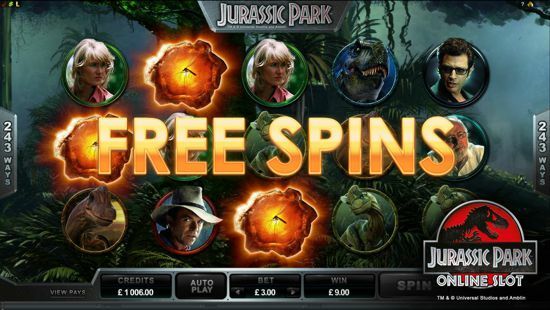 Free spins multiple dinosaur – If you’re looking to bolster those credits with additional funds from the games prize pool, then here’s how you’ll find free spins on the Jurassic Park Slot. 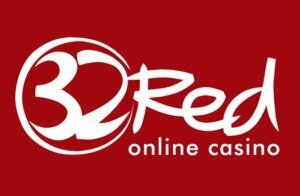 Simply identify 3 or more dinosaur eggs on the reels, and one of the online casinos biggest free spin features will begin. It’s an impressive demonstration of wild reels, wild multipliers, mystery multipliers, running wilds, split wilds and winning wilds. All of these are made possible by the current dinosaur involved in the bonus, with each specimen worth something different. The dinosaurs of the Jurassic Park free spins mode include Tyrannosaurus Rex, Brachiosaurus, Triceratops, Dilophosaurus and Velociraptor. All of these bonus games present the possibility of winning a maximum of 6000 x your bet whilst in play.